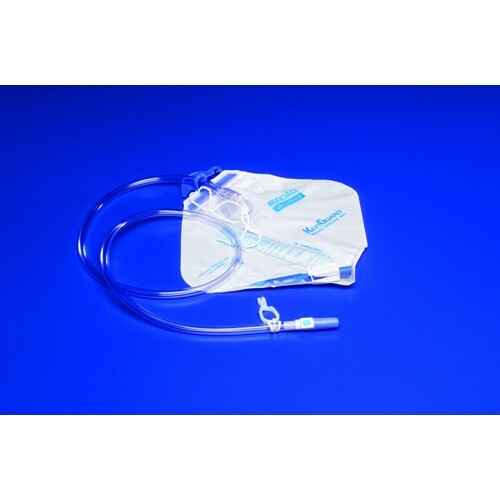 Dover Urine Bedside Drainage Bags 2000cc with Reflux Valve and Velcro® Hanger, manufactured by Kendall, are convenient, easy-to-use and high volume capacity. 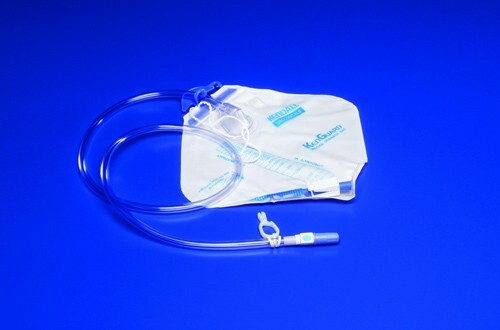 These drainage bags come with a universal hanging device, feature easy-to-read graduations and an anti-reflux chamber.Kendall is a trusted name in quality urinary supplies. Contoured design for more even filling and comlete emptying. The 11/32 inch drainage tube provides quick drainage, eliminating any standing column of urine. The convenient velcro strap and universal hanger fits securely on bedrails and wheelchairs. A carrying handle makes it easy to transport for ambulatory patients as well. Bag leaked urine down my leg and stained my pants due to faulty closed valve at bottom of the bag. Very embarrassing! The tubing needs to be longer. I will not order these again. Sorry. The tubing needs to be longer.I will not order these again. Sorry. I have no more leaks in the night. It eliminates standing column of urine and provide quick drainage. It is a convenient product for wheelchairs patients. These drain bags comes with anti-reflux chamber and Velcro Hanger.